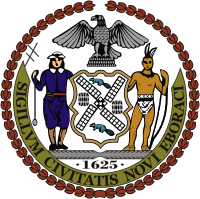 New York City Broadband Advisory Committee: Information about the March 30th public hearing in the Bronx. Its exciting to be a part of the Broadband Advisory Committee and to see that there is a renewed vigor that not only examines the virtues of the technology but its impact or lack of in traditionally underserved communities in NYC. It is also great to have the first in the series of citywide events commence in the Bronx, where my organization has spent the better part of two and a half years not only bringing low cost broadband to our residents but all also working closely with them to embrace the benefits. It is my hope that the each of the public hearings will serve to provide the committee with a greater sense of the issues that the NYC and the technology industry can address in a uniform manner to ensure that it can be distributed to the "masses". I'm another of the committee members and an editor at Wired Magazine. I agree with Shaun, and am very much looking forward to the hearing. Much of the world has figured broadband out in vastly better ways than New York has and there's a lot this city can do better. At Teaching Matters we just started testing out this Mereki technology. Does anyone have any comments on this and its implications? Meraki to Enable “First Mile” of San Francisco Community WiFi providing an Entire Square Mile of Neighborhoods with Free Internet Access. Visit http://sf.meraki.net/ for details. Washington D.C. — March 5, 2007 – Meraki Networks (www.meraki.net), pioneer of the first consumer wireless mesh Internet network designed to “unwire the world,” announced today that it is sponsoring and supporting a network that it calls the “The First Mile in Unwiring the World” in San Francisco. Over the next several weeks and months, the company will be working with the community and deploying their powerful and simple technology to bring the 15,000 residents online for free. Meraki Founder and CEO Sanjit Biswas announced the new community WiFi network at the Freedom to Connect conference in Washington, D.C. The conference is a showcase of the latest in wireless technology and efforts to use new innovative wireless solutions to expand Internet access. There are already 15,000 Meraki users in more than 25 countries. In the US, the technology is now creating inexpensive community-wide WiFi networks in San Diego to Portland and even internationally in Europe and Latin America. With more than 800 WiFi spots (many of which require a fee) there is only about one access point for every 1,000 residents in San Francisco, creating huge stretches and whole neighborhoods that are not served by wifi access. As the second hilliest city in the world, there are also concerns about WiFi signal strength in San Francisco, but with Meraki’s wireless mesh technology, the networks nodes work together in an organic fashion to create a reliable and flexible network. Meraki is working with Bay Area wireless groups and will use this first network in San Francisco to showcase new features being developed at Meraki as well as features community members request. The Meraki Mini is a tiny 802.11 b/g wireless router that simply plugs into a wall outlet and an Internet connection, and can also work as a repeater for an existing Internet network, extending the wireless range. The Meraki Mini is an inexpensive but high powered way for consumers and communities to start creating their own networks and will be for sale from www.meraki.net in the coming weeks for $49. An outdoor version with a range of up to 700 feet is also available for $99. MOUNTAIN VIEW, Calif. - Meraki Networks, pioneer of the first consumer wireless mesh Internet network designed to “unwire the world,” announced today it has closed a Series A funding round of $5 million, led by Sequoia Capital. The Series A funding follows funding from angel investors, including Google, also headquartered in Mountain View, Calif.
Meraki was founded in 2006 by Ph.D. candidates from MIT with the goal of bringing affordable wireless Internet access to people around the world. The Meraki team is developing low-cost, easy-to-install and use, wireless mesh technology that enables consumers to cover their homes, apartment complexes and entire communities with powerful wireless Internet access immediately. Meraki’s technology enables community-wide wireless mesh Internet networks without the need for much time, money or expertise. Meraki is also experimenting with groundbreaking ways to offer free Internet access to Meraki customers. Google has already deployed Meraki’s new wireless mesh network products to enhance the coverage of the community-wide wireless Internet network it offers in residential communities throughout Mountain View. Meraki offers the Meraki Mini, a sleek 802.11 b/g wireless router that simply plugs into a wall outlet and a Internet connection, and can also work as a repeater for an existing Internet network, extending the wireless range. The Meraki Mini is an inexpensive but high powered way for consumers and communities to start creating their own networks. The Meraki Mini will be for sale from www.meraki.net in the coming weeks for $49. In a very limited beta program open for just a few weeks last year, Meraki’s products became somewhat of a viral sensation, bringing wireless Internet access to more than 15,000 users in 25 countries around the world.